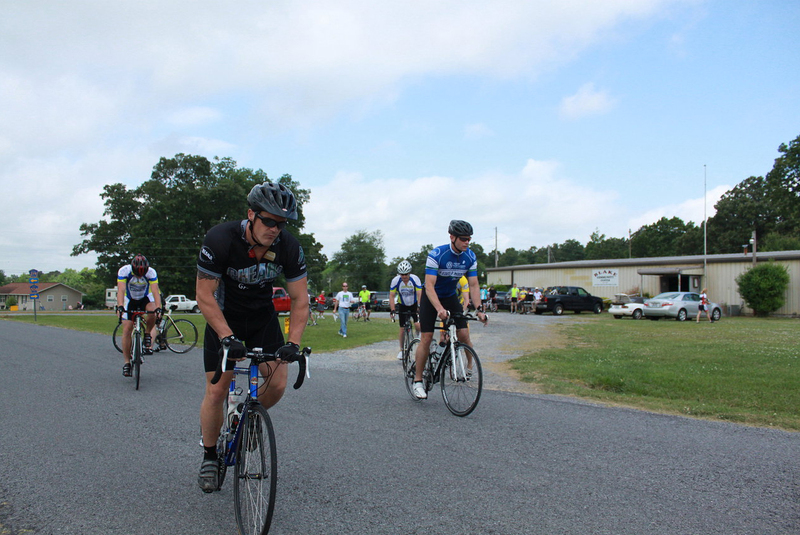 For the second year in a row, the Alabama Wheelmen hosted the Christina Genco Memorial Ride to benefit the Christina Clarke Genco Foundation. 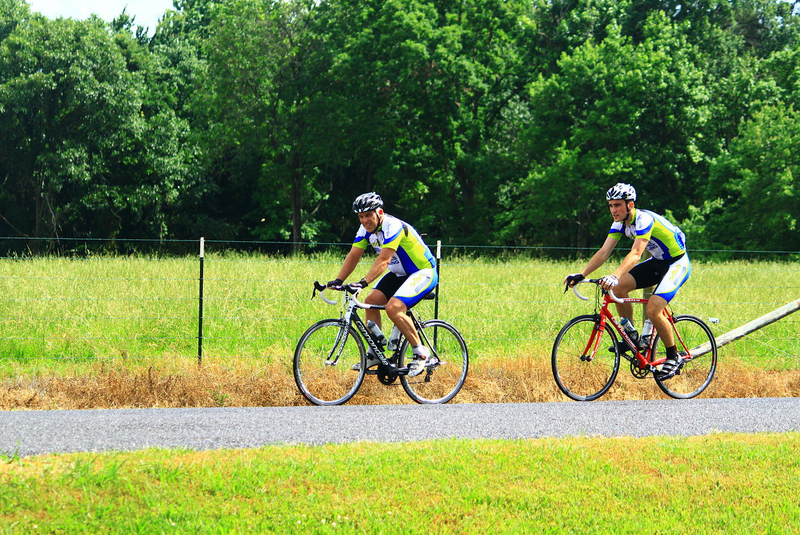 Last month, a few dozen cyclists met at the Blake Community Center near Fort Payne, AL to ride in a 38-mile or 80-mile loop in beautiful Alabama countryside. 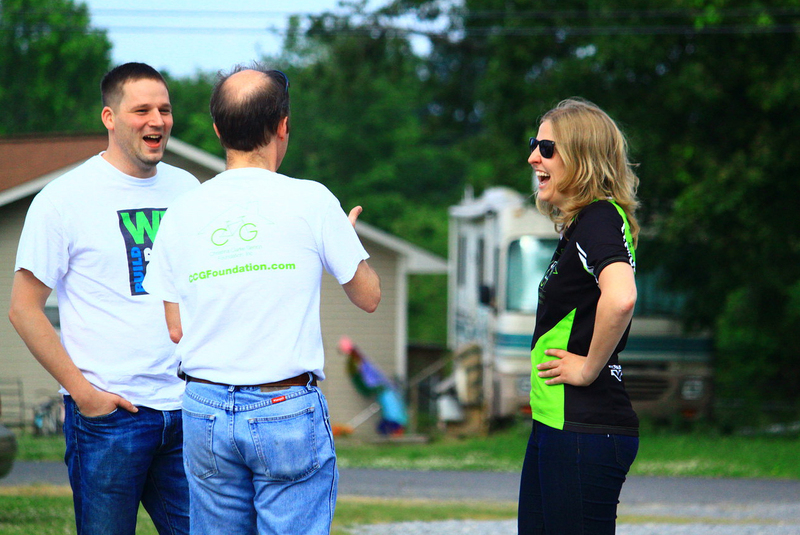 This year, Board Members Jeremy Story and Sarah Royal joined in on the ride, connecting the Foundation to the community members in Alabama near the site where Christina was struck and killed by a passing vehicle in 2011. James Dawson, President of the Alabama Wheelmen, organized and promoted the ride both last year and this year in order to connect the community members in Alabama who wanted to contribute to the memory of Christina’s life, as well as the service work that she was so passionate about. James is a superb advocate for both cycling in Alabama as well as safety, and gave a thorough safety talk prior to the departure of the two routes. 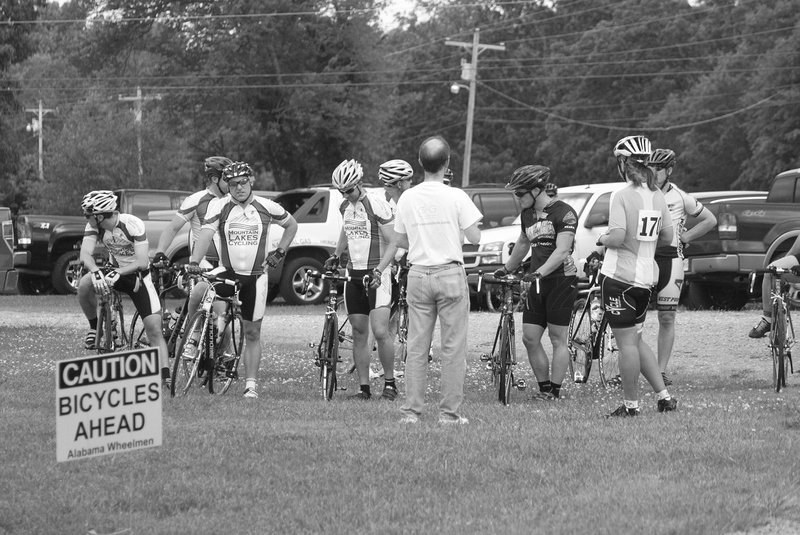 Though the humidity reached, well, June-in-Alabama levels, the riders were not dismayed. The 80 milers got caught up in a rainstorm, as well, but it was quickly followed by a bright burst of sunshine. After some watermelon and relaxing in the Blake Community Center, WHNT News swung by for a recap of the ride. Afterwards, Jeremy and Sarah joined James and a smaller group of cyclists to erect a memorial cross on the site where Christina passed away. The WHNT website has a fantastic video report of the day’s events. It was incredible for us as a Foundation to participate in this type of event. No one in Alabama knew Christina personally, and yet they as cyclists, as volunteers, and as community members felt a connection to her presence and personality to organize this ride and represent their community as one of solidarity and connection, rather than alienation and hostility. We’re thrilled that James, the Alabama Wheelmen, and all of the ride participants came out to support the Foundation and Christina’s legacy. The Foundation cannot thank you enough. This entry was posted in Blog and tagged alabama wheelmen, memorial bike ride alabama. Bookmark the permalink.